To maximise networking opportunities for participants of ALMC, an Exhibition is staged alongside with the main conference. One-on-one business matching sessions will be arranged exclusively for exhibitors with the conference participants. Castel Beidou Hong Kong is a Local Beidou and Global Satellite service provider. We have developed and applied GPS/LBS technology over 10 years. “Lite Guardian Pro” is one of our brand which has provided solutions for different types of business; Cold Chain, Logistic Distribution, Driving Behavior Analysis, Fuel Consumption and more can manage and review reports through PC / App. The Solutions can help you stay on the top of customer expectations and cost saving. Moreover, we have a local customer service team to support our clients. Established in 2013, GOGOVAN is the first app-based platform for delivering goods in Asia. The company connects individuals and businesses directly to thousands of drivers for their real-time delivery needs and provide a convenient and efficient service. GOGOVAN has expanded its business from Hong Kong to Singapore, South Korea, Mainland China, Taiwan and India and will continue to expand globally. In August 2017, GOGOVAN merged with 58 Suyun, the leader in Mainland China’s intra-city logistics market, and increased GOGOVAN’s presence to over 200 cities, with more than 1.2 million registered drivers under its network. 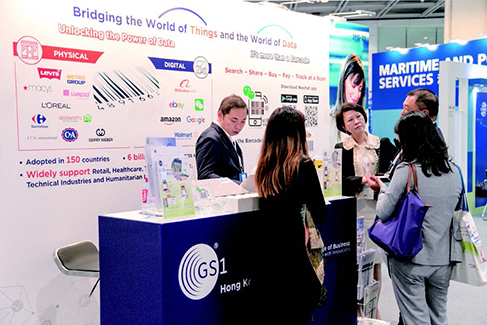 GS1 Hong Kong is the local chapter of GS1®, a not-for-profit, standards organisation that develops and drives adoption of easy-to-implement global standards for business to uniquely identify, accurately capture and automatically share vital information about products, locations and assets. Our mission is to enable Hong Kong enterprises to improve the efficiency, safety, and visibility of supply chains across multiple sectors and facilitates commerce connectivity through the provision of global standards and various standards-based solutions and services. We engage with communities of trading partners, industry organisations, government, and technology providers to understand and respond to their business needs through the adoption and implementation of global standards. For more information, please visit www.gs1hk.org. GSL Technology International Ltd specialized in the Document Imaging industry with over 20 years experiences. Our mission, which is also our ultimate goal, is to become the most successful hardware and software supplier in Document Imaging and to provide best service to our clients/resellers. Based on the philosophy of one-stop-shop, our company carries almost all the necessary components in the document imaging system. Ranged from the front-end scanning system/devices, to the operation software and storage system/devices, we represent leading edge products from highly respected vendors in imaging business. Say, Kodak scanner, ABBYY and IRIS OCR software, M-Files DMS, UiPath and Sisense. Since Nov.,2016, pickupp has provided 4 hour door-to-door same day delivery service to merchants in Hong Kong(including residential, commercial and industrial address). Our multiple transport-mode delivery service utilizes walker using available public transport, scooter/motorcycle, van and truck. All merchants can enjoy low cost and efficient service for their internal transfer, door-to-door delivery, warehouse delivery and hotel delivery etc. International Supply Chain Alliance Co., Ltd. (ISCA) was established in Hong Kong in 2014 and her Global Logistics Alliance & Big Data Platform is providing online logistics service marketplace and sourcing solution for China and global traders who request for logistics service. Today, ISCA has recruited more than 10,288 warehouse alliance members to provide over 2.2 billion m² warehouse spaces in 366 China and global cities. Our Platform provides the best-fit logistics service by “AI” matching on logistics requests received globally. Through embracing win-win Sharing Economy & consistent alliance collaboration model, ISCA shall become the world’s leading supply chain platform. Logistics and Supply Chain MultiTech R&D Centre (LSCM) was founded in 2006 with funding from the Innovation and Technology Fund of the HKSAR Government. Since its inception, LSCM’s mission is to foster the development of core competencies in logistics and supply chain related technologies and to facilitate the adoption of these technologies by industries in Hong Kong and the Mainland. The Centre is committed to play a leading role in promoting innovation and adoption of technologies in both the public and private sectors with different R&D achievements. Established in 2010, Optix Solutions (OPTIX) has proven track record in R&D, specializing in AI, Big Data Analytics, Machine Learning and Workplan Optimization. OPTIX delivers high quality and profitable AI projects and products, such as staff rostering, warehouse optimization, order scheduling, job assignment, vehicle dispatching & routing, chiller plant optimization, intelligent knowledge management and so on, to the clients in Logistics, Manufacturing and Facility Management industries. Excellence of the company have been well recognized by the industry via numerous awards including 25 Most Recommended AI Companies 2017, Hong Kong ICT Awards 2015, Hong Kong Awards for Industries 2015 and etc. ORBiz is the leading enterprise IoT location platform and network service provider in Asia to enable and empower M2M/IOT applications. Our solutions with open APIs and SDKs provide secure, accurate and reliable location intelligence and end2end track & trace capability including but not limited to : positioning, navigation and timing services ranging from dashboard analytics and report, real-time data capturing and tracking to SmartCity location-based network infrastructure for your better day-to-day fleet management, transportation & logistics operational efficiency and service & application monitoring. Tradelink (SEHK:0536) is the first and the largest e-commerce service provider offering Government Electronic Trading Services since 1997 to the community. Over the years, Tradelink has diversified its business into other areas, including supply-chain e-solutions, digital certification, identity management solutions and secure payment solutions. Our supply-chain e-solutions help 3PLs, warehouses operators, suppliers and traders streamline their workflows and enhance operational efficiency. The current suite of supply-chain solutions include eDoc, Order Fulfillment System, Warehouse Management System and Delivery Order Management System; all of which have sound references from prominent customers in the market locally and overseas. Corporation Comprising Science Park, InnoCentre and Industrial Estates, Hong Kong Science & Technology Parks Corporation (HKSTP) is a statutory body dedicated to building a vibrant innovation and technology ecosystem to connect stakeholders, nurture technology talents, facilitate collaboration, and catalyse innovations to deliver social and economic benefits to Hong Kong and the region. Established in May 2001, HKSTP has been driving the development of Hong Kong into a regional hub for innovation and growth in several focused clusters including Electronics, Information & Communications Technology, Green Technology, Biomedical Technology, Materials and Precision Engineering. More information about HKSTP is available at www.hkstp.org. Acquaintance Enterprises Limited established in 2015 with three cofounders. Supported by Hong Kong Polytechnic University (TLF funding) and Hong Kong Science Park (LEAP and IncuTech programme), the company growth rapidly in the past three years and become one of the leading transportation management system service providers in Hong Kong, offering service to logistics companies in China, Hong Kong, Thailand, Malaysia, Indonesia and Singapore. The company’s product LOGFLOWS, with the TMS+ concept, offers a trucking logistics platform not only enhances the business quality but also provides business opportunities to the companies who involve in the trucking transportation business. Arwin Technology is a design house located at HK Science Park, Hong Kong technology hub, that provides high performance wireless solutions such as NB-IoT and bluetooth with digital sensors. With over 15 years experience in Fortune 500 electronics companies (Freescale Semiconductor, Philips) the team composed of engineers, design and marketing professionals provides solution from hardware to software development including branding and product design. Arwin Technology is the ideal one stop solution partner to enable IoT and provide creative solutions for all connected projects. FreightAmigo is a 24x7 real-time freight eMarketplace catering global enterprises’ logistics needs with data analytics. We offer Instant quotes, Tailored Solution, Contract Logistics and Tender Planning, connecting enterprise clients with worldwide forwarders and carriers. We provide real-time cargo tracking over 300 airlines and shipping lines. Just 1 click away, you can search and compare freight quotes from different vendors to get your best-fit solution. All shipping documents will be stored in our systems for your easy retrieval. We support desktop, mobile and tablet to allow you book and manage your shipments anytime and anywhere. Neosen Energy is focused in design, development and manufacture of state of art Power/ Energy processing technologies. We design products for wireless power, renewable energy, and IoT industries - NeoSmart. NeoSmart is a low cost and long range asset tracking solution. With gateway and repeaters, it can cover in a range of 7km in radius and hardware cost is as low as a smartphone. The only low cost paper-thin tag with printable battery in HK can apply in patient’s wristband and luggage tag. Apart from location tracking, it can also have data management to help firms have effective management. The name, SWIVEL, comes from the words FLEXIBLE and ADAPTIVE. When a person sits in a chair that swivels, he/she can move around quickly with the ability to adapt to his/her surroundings. Previously named Paradigm Corporation, SWIVEL Software boasts a mix of customers that are freight forwarders and shippers that have global offices using the web based systems. With offices in Hong Kong and USA, the SWIVEL team consists of leading edge talent of software engineers, database analysts, customer support personnel, and experienced leadership. Swivel products include: SWIVEL 360, SWIVEL E-COMMERCE, SWIVEL ERP, SWIVEL POM, SWIVEL WMS. The Caravel Group Limited, is a diversified global conglomerate focused on providing leading maritime services, the trading and logistics of dry bulk raw materials, investment management, and strategic asset ownership. Through our three primary operating units, Caravel Asset Management, Caravel Maritime and Caravel Resources, we provide value-added solutions in distinct – but complementary – areas, while focusing on identifying and capitalizing on selected opportunities within each. With a global presence and a strong balance sheet, the Caravel Group is ready to serve clients on any scale, wherever they are located. Our headquarters in Hong Kong and our presence in strategic locations give us a focus and insight into the world’s fastest-growing economies. CargoSmart Limited empowers companies to digitally transform their global supply chains. Leveraging technologies including artificial intelligence, Internet of Things, blockchain and a deep understanding of ocean shipping, CargoSmart provides innovative solutions for transportation and logistics teams to collaborate, increase visibility, and gain insights to optimize supply chain planning and operations. Founded in 2000 and headquartered in Hong Kong, CargoSmart has helped over 160,000 professionals worldwide increase delivery reliability, lower transportation costs, and streamline operations. For more information, visit www.cargosmart.ai. Maritime Services Training Institute (MSTI) is the sole training provider, approved by the Marine Department HKSAR and certified by DNV·GL, of mandatory training required in the STCW Code and other local Regulations. MSTI provides Higher Diploma and Certificate programmes for training of deck officers and ratings respectively; in-service and tailor-made training for seafarers and employees of maritime industry; Professional Diploma; upgrading courses for Certificate of Competency examinations and collaborates with Warsash Maritime Academy to offer a Top-up Degree in Hong Kong, and joins with the Hong Kong Institute of Vocational Education for training of marine engineers. Maritime London is the promotional body for UK-based companies providing professional services to the international shipping industry. Funded by over 100 companies and organisations from a wide range of disciplines, Maritime London ensures that the UK remains a world-beating location to base a maritime related business and to conduct maritime trade. Membership of Maritime London is open to any company that is able to demonstrate support for the UK’s maritime services sector. McKinsey is a global management consulting firm. Today we have more than 800 Partners, consultants, and professional support staff located across six locations in China: Beijing, Shanghai, Shenzhen, Hong Kong, Taipei and Chengdu. We are the trusted advisor to the region’s leading businesses, governments, and institutions. Our primary mission is to help our clients achieve substantial and enduring impact by tackling their biggest issues concerning strategy, sales & marketing, operations, organization, technology and corporate finance. For more information, visit www.mckinseychina.com. ONC Lawyers is one of the largest domestic law firms in Hong Kong. Since 2013, we have been designated by Asialaw Profiles as a “highly recommended” law firm, and ranked by Chambers and Partners as a “leading firm in the Asia Pacific Region”. ONC Lawyers is a member of the International Society of Primerus Law Firms. Our main areas of practice cover Banking & Finance, Capital Markets, Construction & Arbitration, Corporate & Commercial, Employment, Family, Insolvency & Restructuring, Insurance & Personal Injury, Intellectual Property & Technology, Litigation & Dispute Resolution, Real Estate, Securities, Futures & Funds, Shipping & Logistics, Venture Capital & Private Equity, Wills & Probate. “Orient Overseas Container Line” and “OOCL” are trade names for transportation provided separately by: Orient Overseas Container Line Limited (“OOCLL”) and OOCL (Europe) Limited respectively and both are wholly-owned subsidiaries of Orient Overseas (International) Limited, a public company (0316) listed on the Hong Kong Stock Exchange. OOCL is one of the world's largest integrated international container transportation, logistics and terminal companies. As one of Hong Kong's most recognized global brands, OOCL provides customers with fully-integrated logistics and containerized transportation services, with a network that encompasses Asia, Europe, North America and Australasia. The North Bund in Hongkou District，located near Huangpu River in Shanghai city center, forms the Golden Triangle of Shanghai CBD area together with Lujiazui and The Bund. The North Bund is the core functional area for the construction of Shanghai International Shipping Center, with focuses on the establishment of modern shipping service system, and was awarded as the 1st “Headquarters Base for shipping Services” nationwide by the Ministry of Communications. At present, there are over 4,500 shipping service companies and over 36 shipping-functional organizations registered in the North Bund, making it one of the largest clusters of shipping companies, organizations and related elements in the country. Sutedja & Associates is a full-service Indonesian Law Firm which proved its excellence in serving local and international first-class legal service. The firm is in strategic partnership with Gurbani & Co, as Singaporean-based firm which enjoys a distinguished reputation in regional legal circles as a provider of outstanding legal services, particularly in the maritime, shipping, and related insurance industries, and work at the cutting edge of legal developments. In addition, we have an excellent presence in the international arbitration market. Our team consists of counsels and arbitrators accredited to amongst others: HKIAC, SCMA, SIAC, LMAA and CIETAC. In 1998, Guang Shun Transportation Co., Ltd (Guang Shun) set up in Rong Gui Shunde Foshan. With over 20 years of history providing professional and reliable barging services to our customers, we have made a difference. 2018, Vast Light Logistics (Seafreight) Company Ltd.（Vast Light）established in Hong Kong as the subsidiary of Guang Shun. To cater to the market and strengthen the connections between each port, we bring in young and promising talents giving us new thoughts and new management concept to explore and develop diversified businesses. Established in 1945, ZIM has developed into one of the leading carriers in the global container shipping industry, pioneering innovative technologies and expanding its vast geographical network while maintaining its tradition of excellence. ZIM remains at the forefront of the carrier industry by rapidly adapting to commercial developments and emerging markets. ZIM offers comprehensive account management services delivered by professional shipping experts dedicated to customers’ needs. This individual approach ensures first-class, fully customized services. The Hong Kong Container Terminal Operators Association Limited (HKCTOA) was established in 1999. Its mission is to promote and enhance Hong Kong’s position as an international container transportation hub, increase competitiveness of Hong Kong Port and make positive contributions to areas of public interest such as transportation, infrastructure and environment. Members include: Asia Container Terminals Limited, COSCO-HIT Terminals (Hong Kong) Limited, Goodman DP World, Hongkong International Terminals Limited and Modern Terminals Limited. There are 24 container berths in 9 terminals, with a total quay length of 7,694 metres, terminal area of 279 hectares and estimated annual capacity over 20 million TEUs. Asia Container Terminals Limited (ACT) is held jointly by Hutchison Port Holdings Trust and COSCO SHIPPING Ports Limited. The terminal manages two berths with a quay length of 740 meters and a depth alongside of 15.5 meters in Terminal 8 (West) of Kwai Tsing Container Port. Its daily operations are managed by COSCO-HIT Terminals (Hong Kong) Limited (COSCO-HIT). ACT is adjacent to COSCO-HIT and together they have a combined 1,380-meter contiguous berth. It enhances the overall operational flexibility and efficiency particularly when handling several mega-vessels simultaneously. COSCO-HIT Terminals (Hong Kong) Limited (COSCO-HIT) is held jointly by Hutchison Port Holdings Trust and COSCO SHIPPING Ports Limited. The company manages two berths with a quay length of 640 meters and a depth alongside of 15.5 meters in Terminal 8 (East) of Kwai Tsing Container Port. It also operates berth frontage of 448 meters for barges. COSCO-HIT has installed advanced communications and computer technology systems to provide high level of service. COSCO-HIT collaborates with Hongkong International Terminals and Asia Container Terminals to maximize operational efficiency and help maintain Hong Kong's status as an international container hub port. Container Terminal 3 (CT3) has been operating since 1973, the facility has historically been one of the most productive terminals in Hong Kong. CT3 excels in technological innovation and is providing quality services to support Hong Kong port and its customers. The terminal's facilities are complimented by the ATL Logistics Centre, the world's first and largest intelligent multi-storey drive-in cargo logistics centre. Hongkong International Terminals Limited (HIT) is a member of Hutchison Port Holdings Trust, the world's first container port business trust listed in Singapore. HIT operates twelve berths at Terminals 4, 6, 7 and 9 (North). Established in 1969, HIT has continuously set industry benchmarks for productivity, efficiency and value-added services. Using modern management techniques, state-of-the-art computer systems and award winning IT applications, HIT has become a pinnacle of industry excellence. HIT plays a key role in the development of Hong Kong port, ensuring the port has the resources, facilities and people required to achieve smooth and efficient handling of containers. Modern Terminals has been a pioneer in the growth of the container terminal industry in Hong Kong and Mainland China ever since it opened Hong Kong’s first purpose-built container handling facility in 1972. Today, it operates 7 berths in Terminals 1, 2, 5 and 9 (South) in Hong Kong. In the PRD, it holds majority shareholding of and operates DaChan Bay Terminals, and holds equity stakes in Shekou Container Terminals and Chiwan Container Terminal. In 2000, ModernPorts was established as the first portal to offer the Hong Kong shipping community a one-stop e-business platform to enhance operational efficiency and services. China Merchants Port Holdings (CMPort), previously China Merchants Holdings (International) Company Ltd, was the first mainland red chip enterprise listed on the Hong Kong Stock Exchange since 1992 and is the largest container port operator in China, with 28 ports across 15 countries and regions under its global network. Benefited from “One Belt One Road”, national initiative, CMPort has further strengthened its position in the Belt and Road markets. Container throughput in 2016 was 95.77 million TEUs, rose 14.5% year-on-year and bulk cargo volume was 460 million tones, rose 30.2% year-on-year. Flourishing with China Merchants Group’s 145th Anniversary this year, CMPort is confident in achieving the target of 100 million TEUs in 2017. CMPort is dedicated “ To be a world’s leading comprehensive port service provider”. Located at the east of Pearl River estuary and 20 nautical miles from Hong Kong, Chiwan Container Terminal (CCT) is the well-recognized logistics gateway that connects the world with the Pan Pearl River Delta hinterland. CCT received global recognition in terminal management and state-of-the-art facilities. CCT operates nine berths along 3,400 meters berth length. CCT is the first container terminal operator in South China using an electrical rubber-tire gantry crane in yard operations in order to achieve the most environment-protecting operations. “Serving by Heart, Changing Just for You” is the motto of Chiwan Container Terminal. CCT people serve their valuable customers on this motto. Colombo International Container Terminals Ltd. (CICT) is one of the largest foreign direct investments in Sri Lanka, and is the first and only deepwater terminal in South Asia, capable of handling the largest vessels afloat. Operating on a 35 year B.O.T, CICT is owned and managed by China Merchants Port Holdings Company Ltd (CMPort). Located within the Port of Colombo, CICT is geographically placed in the centre of main east west shipping route with minimum deviation, thus operating as a regional transshipment hub for South Asia, serving primarily the Indian subcontinent and Africa. CICT prides itself at service excellence and is a firm believer of continuous improvement thus earning its reputation for setting international standards in the Port of Colombo. Located at the east bank of Pearl River in the Southwest Shenzhen City, Shekou Container Terminals (SCT) is a renowned ocean gateway for global shippers and carriers seeking access to and from South China. SCT operates a terminal area of 138 hectares, 9 mega vessel berths with length of 4090 meters, abound 110 weekly services covering major port worldwide. Taking advantage of its geographical location, SCT has developed seamless connection with ocean, river, highway and rail transportation network. As the operator of China’s first “low-carbon demonstration terminals” appointed by the Ministry of Transport, it has received nationwide notice for its use of electric RTG crane fleet and Alternative Maritime Power. Founded in August 2017, BiTA has grown into the largest commercial blockchain alliance in the world. BiTA members are primarily from the freight, transportation and logistics industries and cumulatively have over $1 trillion in annual revenue. Alliance members share a mission to develop a standards framework, educate the market on blockchain applications and encourage the use of those applications. BiTA is investigating use cases and developing a common framework to build blockchain applications. Through think-tank events, networking, meetings, webinars and online collaboration, members work on common issues and share best practices. For more information, please visit www.bita.studio/. The Canadian International Freight Forwarders Association (CIFFA) represents some 250 regular member firms from the largest of global multi-national freight forwarding firms to small and medium sized Canadian companies. CIFFA freight forwarders are top performers at moving freight – worldwide. International freight forwarders are the foremost experts in cargo transportation solutions and are essential trading partners. They’re held to a higher standard, are more informed and are skilled in all modes of international transport. Use a CIFFA forwarder... they’ll go farther and reach higher, to serve you better. CIFFA member companies employ tens of thousands of highly skilled international trade and transportation specialists. As a vital component of Canada’s global supply chain, freight forwarders facilitate the movement of goods, helping Canadians do business with the world. F2 Logistics is a full service integrated and complete end to end supply chain business solution provider that administers and handles freight, transport, storage, inventory management and distribution of goods in a fast and reliable manner. F2 Logistics Philippines, Inc. is strategically located to access majority of clients at F2 Corporate Center Irasan St. corner NAIA Ave San Dionisio, Paranaque City 1700, Philippines. GEODIS is a top-rated, global supply chain operator recognized for its passion and commitment to helping clients overcome their logistical constraints. GEODIS’ growth-focused offerings (Supply Chain Optimization, Freight Forwarding, Contract Logistics, Distribution & Express, and Road Transport) coupled with the company’s truly global reach thanks to a direct presence in 67 countries, and a global network spanning 120 countries, translates in top business rankings, #1 in France, #4 in Europe and #7 worldwide. In 2017, GEODIS accounted for over 40,500 employees globally and generated €8.1 billion in sales. In 2018, the Company has recently been recognized as leader by Gartner in its 3PL Magic Quadrant. Jingdong Logistics is a sub-group company affiliated to Jingdong Group. With the mission of reducing the cost of socialized logistics, Jingdong Logistics promotes the transformation of consumption mode and the promotion of social supply chain through open and intelligent strategic measures. It combines logistics, business flow, capital flow and information flow organically to achieve mutual trust and win-win situation with customers and becomes the most trustworthy one. Lai's smart supply chain partners. At present, Jingdong is the only enterprise in the world with six logistics networks: small and medium-sized, large, cold chain, B2B, cross-border and crowdsourcing. Services cover more than 100 countries and regions, 937 routes, sea, land, air and rail to meet bonded, general trade, cross-border business development. Indigo Software is a leading warehousing and logistics provider, implementing warehouse management software (WMS) around the world, either on premises or in the Cloud. Established in the UK in 1980, Indigo opened its Asia Pacific subsidiary in June 2016, with regional headquarters based in Hong Kong. Indigo’s expansion into Asia Pacific will provide local manufacturers and logistics companies with access to a proven and highly regarded WMS solution, allowing them to derive the benefits associated with smart, efficient, accurate and technologically advanced warehouse operations. Companies already deriving these benefits in Asia Pacific include Bunzl, Wesfarmers, Ionics and Sandvik Mining. International Transport Information Systems (ITIS) is an indigenous logistics software solution provider established 1991 in Hong Kong. The company offers full range of innovative logistics modules with relevant domain consultancy to customers. The product offering comprises of eConnect Control Tower (Purchase Order tracking and visibility platform), Air Freight Operation and Management System, Ocean Freight Operation and Management System, Cargo Truck System, Inventory Order and Visibility Management System, Accounting System. Our eConnect Control Tower can be run on SAP HANA. Currently, we have customers over 13 regions globally. Through 27 years of operation, the company has gained market leadership in logistics industry. JCL Oriental Logistics was founded in Hong Kong since 2014 and we have our China Headquarters in Shenzhen that was established since 2017. As a Hong Kong based international freight forwarding and logistics provider, we provide comprehensive worldwide logistics solutions, airfreight, seafreight, rail freight as well as E-commerce, logistics and warehousing services, with a team of over 20 years’ experience in average among Airlines, Shipping lines, GSA & global forwarders. Our service is equipped with and extensive global network, customer solutions and a professional team that is dedicated to meet the needs of customers worldwide. 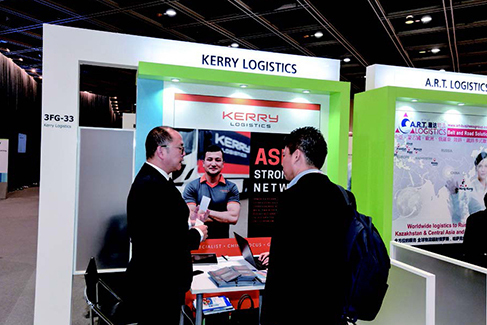 Kerry Logistics is an Asia-based, global 3PL with the strongest network in Asia. Its core competency is providing highly customised solutions to multinational corporations and international brands to enhance their supply chain efficiency, reduce overall costs and improve response time to market. It currently has more than 1,000 service points in 56 countries and territories, and is managing 52 million sq ft of land and logistics facilities worldwide, providing customers with high reliability and flexibility to support their expansion and long-term growth. Kerry Logistics Network Limited is listed on the Main Board of the Hong Kong Stock Exchange and is a selected Member of the Hang Seng Corporate Sustainability Index Series 2017-2018. Linde Material Handling Hong Kong Ltd is a 100% subsidiary of Linde Material Handling GmbH, headquartered in Aschaffenburg, Germany. Linde Material Handling GmbH is the European forklift market leader and global logistic technology leader, presence in more than 100 countries. Linde Material Handling Hong Kong Ltd, established in Hong Kong in the year 1995, is the sales and service center for Linde Material Handling products for the territories of Hong Kong, Macau, Taiwan and Korea. As a total solution provider with over 20 years working for material handling projects, we have gained valuable experience to satisfy our customer’s needs. Since ancient times, Okinawa has been a center of commerce and trade for the countries of Asia, flourishing as the hub of a vast international network of commercial activity. Now, with Asia’s economic boom in full swing, Okinawa’s geographical and logistical advantages have once again taken center stage. In today’s modern era, Okinawa is now setting its sights on becoming a 21st-century Bridge of Nations, having long expanded its horizons from the seas to the skies and still ideally positioned in the heart of Asia. Our island is perfectly equipped to not only drive its own development and that of Japan, but also to lead the entire region into an even brighter economic future. Overseas Education College Shanghai Jiao Tong University is the high level, professional, practical, international no degree education institution of SJTU, it provides comprehensive education and training services for the development of individual and organization. Since its establishment in 2003, the college has trained more than 60,000 students, faculty of more than 2,000, and it has become one of the leading continuing education institutions at home. College "adhere to the overseas characteristics, promote lifelong education, make first-class brand" as the purpose of running, based on the fine teaching traditions of Shanghai Jiao Tong University, introduce overseas high-quality educational resources, explore the way of continuing education, provide strategy service to the establishment of talent strategy, lifelong learning system construction and the construction of world first-class Shanghai Jiao Tong University. Taiwan Coalition of Service Industries (TWCSI) was established in 2007. The goal of TWCSI is to promote the continuing development and competitiveness of service industries in Taiwan by promoting the development of a "service friendly environment" in Taiwan; providing a focal point for liaison with the government; establishing and maintaining cooperation between members of Taiwan's service industries; representing the interests of service industries in Taiwan and to formulate policies and make submissions on behalf of our members; promoting fair, effective and comprehensive international and multilateral rules for trade in services; and establishing and developing links with counterpart organizations around the world. Tradeport is the only on-airport logistics service centre in Hong Kong serving customers around the world. Our expert team, world-class systems, self-owned facilities and our certifications for TAPA (Class A), AEO, C-TPAT, ISO9001, ISO14001, ISO50001 and OHSAS18001 are here to accelerate your business success. Union National Air, Land, and Sea Shipping Co.LLC (UNASCO) was established in 1982 under a special decree from late HH Sheikh Rashid bin Saeed Al Maktoum. UNASCO is fully owned by Emarati businessmen, making it 100% UAE company and a highly reliable organization to deal with.UNASCO provides worldwide integrated solutions for shippers, traders, importers, and receives international freight for them on time. The company offers complete and competitive solutions for sea freight, air freight, land trucking (UAE/GCC), Clearance/documentation, storage and warehousing, to and from the UAE. UNASCO’s unified network of agents across the globe, its personalized service and its expert knowledge of freight forwarding and transportation make it one of the leaders in the cargo industry. This offer is equally matched by high standard of customer care. UNASCO is ISO 9001:2015 certified, it is also a long standing member of National Freight Forwarders Association, The International Air Cargo Association, DLTG (Dubai Land Transport Group), WCA and is a FIATA member also. UNASCO is well equipped to handle any air, sea and land freight requirements from the UAE to any destination across the world. VSHIP is a logistic community platform with an aim to streamline the supply chain process and facilitate the interaction among shippers, freight forwarders and carriers. Connected with over thousands of shippers and service providers, shippers can easily and readily find reliable partners offering clear and transparent quotes on the VSHIP platform for processing your shipments with specific requirements. From our massive shipper customer base, service providers can get access to a new sales channel to expand your business. Integrated with our decades of experience in freight industry and cutting edge technology, the platform enables shippers and service providers to digitalize and process all required shipping documents enhancing efficiency and transparency of the shipping process. GELEC Group represents leading companies in sales, marketing, distribution and contracting specialized in engineering solutions for the construction, industrial and logistics business sectors of Hong Kong, China and Macau. GELEC Group has a strong professional and financial pedigree across a diverse spectrum of engineering disciplines – Mechanical and Electrical, Construction, Logistics, Lamps and Lighting, Fire Safety and Architectural. Doosan is one of the major brands carried by GELEC. Doosan now supply forklifts to over 90 countries and have become a preferred brand to many of the world’s leading fleet users. Doosan Forklift has annual revenues in excess of US$780-million, making it Top 10 World Forklift suppliers in 2016. The mission of LSCM R&D Centre is to foster the development of core competencies in logistics and supply chain related technologies and to facilitate the adoption of these technologies by industries in Hong Kong and the Mainland. The major technology focus areas of the Centre include Infrastructure Information Technology System; Internet-of-Things (IoT) and RFID Technology; Location-based Service (LBS) Technology; Logistics and Supply Chain Analytics and Applications; Supply Chain Security (Authentication/Logistics Security) and Financial services and e-commerce technologies. The Centre is committed to play a leading role in promoting innovation and adoption of technologies in both the public and private sectors with different R&D achievements. Our Aim to combine One Alliance of Warehouse Operator, Transporter, and Forwarder one platform. ISCA, developing the Global Supply Chain Logistics Alliance Platform providing an online marketplace, and sourcing solution for logistics. In 2012, ISCA started the first Supply Chain Logistics Alliance Platform (OYM56LM www.oym56LM.com) in China. Now-a-day, ISCA has more than 6,300 warehouse alliance members available to support over 1.5 billion m² warehouse spaces in 295 China cities. ISCA connects among any logistics supply chain organizations that need warehouse & logistics services. Our platform transforms and filters in the best-fit resources by automatic matching for logistics supply chain professionals to manage the supply chain business entry by creating logistics & warehouse networks. Founded in 1989, Janco always keeps customers in mind and strives to deliver the best logistics solutions. Our expertise extended from freight forwarding to provision of logistics services, express, and e-commerce solutions. Thanks to collaboration with partners, we have established a worldwide distribution network. Apart from Asia-Pacific region, we have been serving customers from Europe, America and Australia. In Hong Kong, our warehouses cover over 150,000 square feet, providing warehousing, pick-and-pack and delivery services with trucking team. To meet growing demand of E-commerce, a facility in Shenzhen’s Qianhai free-trade zone has been added to our portfolio in second quarter 2017. JOSEPH OPTIMA & CO Ltd is dedicated provide Hong Kong customers with reasonably priced, high-quality and attractive transportation equipment of exquisite workmanship, including plastic pallet, paper pallet, wooden and plywood pallet, plastic container, stretch film, plastic tape, paper edge protector, plastic turnover box and PP hollow sheet product etc. Dedicated to creating a better business environment for customers, we stand by our "Quality First" business concept, ensuring that each and every products delivered to the customers are impeccable. The Logistics Association is a branch of Alumni association of Overseas Education College Shanghai Jiao Tong University. It is set up for improving relationship of the membership, providing a platform for learning and communicating the theory and experience of the industry of Logistics and Supply Chain, achieving complementary advantages and resource sharing, helping members to improve their self- value and interpersonal relationships, expanding the international influence of Overseas Education College Shanghai Jiao Tong University. Sui Jun Group is a freight forwarding and logistics services group of companies established in Hong Kong in 1990. The Group have four main business lines – International Freight Forwarding, Warehousing Logistics, Hong Kong Distribution Service and China FCL and LCL Trucking. With over 130 staff, Sui Jun manages over 300,000 square feet of warehouse space in Hong Kong and China, over 250,000 Hong Kong delivery orders, 10,000 truckloads and 30,000 TEU of freight per annum. Sui Jun aims to provide customers with efficient logistics services that matches their business needs. WM Logistics (Worldwide) Ltd is the International Freight Forwarding arm of providing Air, Sea, Land forwarding services of FCL, LCL, cargo movement between PRD/YRD/Hong Kong with all major cities throughout the world. Our strength is handling liquid shipment by Flexitank or ISO TANK; and also provide Pick & Pack, Local Distribution & Warehouse Services; Temperature Control Warehouse Services; Chill Room for Reefer Goods; Project Shipment of Over Size & Over Weight (OOG); Import / Export Customs Clearance; FCL, LCL, AIR shipment; Exhibition Transportation at Hong Kong. WSL Warehouse Systems Limited (WSL) is specialized in supplying storage and warehouse systems, material handling products as well as warehouse contracting service in Hong Kong. WSL offers its clientele a full range service from identification of requirements to design and installation of complete and integrated systems, even when sophisticated needs is to be satisfied. Company Name: YAMATO HOLDINGS CO., LTD. Holds the shares of companies, running various businesses including the trucking business, governs the management of those companies, and runs related service operations. CN is a leader in the North American transportation services industry focused on supply chain innovation and collaboration. We offer integrated shipping solutions, including rail, intermodal, trucking, freight forwarding, warehousing and distribution. Whether you’re shipping across CN’s rail network of more than 32,000 kilometres, shipping globally through the many ports we service on three coasts, or leveraging well over 20 strategically located intermodal terminals across our network, we connect you with the people that matter most: your customers. CN has the only rail network that touches three coasts in North America, accessing the Atlantic, Pacific and Gulf coasts. Our strategically placed intermodal terminals give you easy access to over 75% of the U.S. markets and all Canadian markets. The Port of Prince Rupert is Canada’s second largest west coast port, and the closest North American Port to Asia, anchoring a strategic gateway for trade in the Asia Pacific Region. The Port’s deep natural harbour is capable of handling the world’s largest ships, and direct connection to CN’s North American rail network offers extensive reach across the continent including key natural resource, manufacturing and distribution centres. The Port of Prince Rupert has a current capacity of 35 million tonnes per annum featuring three modern dry bulk terminals handling coal, petroleum coke, agricultural products, and bioenergy; an intermodal container terminal and cruise ship facilities. As Canada’s largest and North America’s most diversified port, the Port of Vancouver facilitates trade with more than 170 world economies and handles approximately 142 million tonnes of cargo worth $200 billion each year. The Port of Vancouver’s marine cargo terminals are served by three Class 1 railroads, and supported by a well-established network of transload and warehousing facilities. The port has international representatives located in key Asian markets and a chief representative in Shanghai. Collaboration among supply chain partners has delivered improved operational performance. The Vancouver gateway offers sustained investment in container terminal capacity growth and transportation infrastructure, and leading reliability initiatives that together result in greater supply chain consistency, transparency, and predictability. China-Singapore (Chongqing) Demonstration Initiative on Strategic Connectivity (CCI) is an important move in the implementation of the national strategies of the one Belt and one Road,the Western Region Development and the Yangtze River Economic Belt.Placing its core operation center in Chongqing,CCI brings the municipality tremendous opportunity for development. CCI consists of four departments namely Financial Services Project, Aviation Industry Project, Transport & Logistics Project and Infomation and Communications Technology. In order to thoroughly and effectively implement CCI,the CPC Chongqing Municipal Committee and Chongqing Municipal People’s Government established China-Singapore (Chongqing) Demonstration Initiative on Strategic Connectivity Administrative Bureau(CCIB). CCIB’s main task is coordinating and promoting the planning and development of CCI. Chongqing highway logistics base is one of the " three bases and three ports" which is approved by the national development and reform Commission and plan to construct the comprehensive transportation hub and international trade thoroughfare of the upper reaches of the Yangtze river, being positioned as Chongqing industrial raw material distribution center ( western industry and industry city ), southwest region important land logistics distribution platform, national logistics network important node and ASEAN - Chongqing international logistics hub collection and distribution base, Chongqing key logistics park, Chongqing service trade demonstration zone. Chongqing Highway Transportation ASEAN International Logistics Co., Ltd. was founded in 2015 with registered capital of RMB 180 million yuan. The Company locating at South Area of Chongqing Ba'nan Nanpeng Logistics Base is a state-owned stock company. The Company dedicates itself to promoting formation of Chongqing-ASEAN International Logistics Channel, building highway freight channel among Chongqing and countries from ASEAN, and forging Chongqing into a vital joint of Land Silk Road and ASEAN countries. Chongqing-ASEAN International Logistics Park invested and constructed by the Company, the park is a vital window of opening to the outside word; the as-established Chongqing- ASEAN Regular Lorry is a bridge and bond connecting Chongqing and ASEAN countries. CFTA is a core component of Liangjiang New Area (CLNA hereinafter), which is the third national level development new zone in China. On November 12, 2008, CFTA was established by approval of the State Council, and its Administrative Committee and Company started operation on December 18 the same year.The Special Customs Supervision Zone of CFTA has a planned area of 8.37 km2, and is divided into water port and airport function areas. The water port area covers 2.43 km2, and airport area 5.94 km2, the two linked by a 17km-long dedicated expressway. Chongqing Xietong International Logistics Co., Ltd. was founded in 2007, mainly engaged in plant logistics and city distribution logistics; and engaged in FCL,LCL transportation for international and domestic as well, and also provide the services for warehousing, sorting, distribution, enterprise logistics program design, information processing and etc. The company insists on building a competitive advantage by creating a competitive advantage for its customers based on the achievement of employees, relying on advanced technologies such as Internet of things, big data and blockchain, to create an Internet + one-stop intelligent logistics platform. The platform has more than 4,000,000 operating trucks, which truly realized "one-stop" service for cargo collection, delivery, transportation and distribution. Develop Century International Logistics Co Ltd（DCI）is the expert in western-China Logistics，specialize in the western-China Logistics for 13 years. We can provide with you with professional service，such as import & export Customs clearance, barge/ocean combined service, rail/ocean combined service, truck/ocean combined service, Chongqing/Chengdu-Xinjiang-Europe railway service，air transportation service，etc. Warehousing：7000square meters general warehouse and bonded warehouse, 2000 square meters cross-border E-commerce warehouse. Cold-chain Transportation Platform：we are able to provide with you overseas purchase assistance and supply，be your import and export agent in Chongqing Port，arrange cold-chain transportation and warehousing, design bonded function, assist in sale,etc. Cross-border E-commerce Exhibition and Trading: we have 7000 square meters of cross-border E-commerce exhibition and trading supermarket, as well as online and offline shopping platform. Gansu Province International Logistics Co., Ltd. is a provincial-level logistics platform company of the CCI-STC approved by Gansu Provincial Government. The company is mainly responsible for the layout and planning of logistics resources in Gansu province, promoting the optimization and reorganization of homogeneous business, promoting the coordinated development of logistics enterprises; undertaking the tasks of information communication, policy coordination, supply organization and dispatching of trains for the southern transport corridor; implementing the subsidy policy, and undertaking assessment-related work. Guangxi Beibu Gulf Port Logistics Co,.Ltd. is a state-owned wholly owned subsidiary of Guangxi Beibu Gulf International Port Group Co,.Ltd.,which is the logistics sector of the five business sectors of the Group (port, logistics, industry and trade, real estate, investment). The company was established in September 2014 with a registered capital of 200 million yuan, have an investment of about 700 million yuan,and one of the Class 4A logistics enterprises in China.The company has set up a logistic network,specializing in hinterland cargo,laying out multimodal transport logistic network. Guizhou Zuntie Logistics Development and Investment Co., Ltd. is a wholly-owned subsidiary of Zunyi Travel Investment (Group) Co., Ltd. The company was established in January 2016 with a registered capital of 400 million yuan. It is responsible for the construction and operation of Guizhou Qianbei Modern Logistics New City. Guizhou Qianbei Modern Logistics New City is located in Goujiang Economic Development Zone, Zunyi City, Guizhou Province, with a total land area of 9,400 mu and an investment of about 15 billion yuan. It relies on the 13 million tons of material transacted at the railway freight yard of Ge Lao Ba, aiming to become an international, modern and professional enterprise. After the completion of the project, it is estimated that the material flow processing capacity will reach 40 million tons by the end of 2019. By 2020, the annual processing capacity is expected to reach more than 100 million tons. The CCI Eurasia Land Bridge Logistics Development Co., Ltd was established in July 2017, it is the "CCI Land & Sea Transport Corridor" Rail-sea intermodal transport operation platform. The company aims to create a new corridor for international land-sea trade, reduce logistics costs in the western region, promote industrial upgrading, and serve the trade and industrial development of the country. By integrating the resources of the rail-sea and optimizing multimodal transport, the company expands the business of international rail-sea intermodal transport, non-vessel shipping, international shipping agency, cargo transshipment and warehousing. Also， company builds a mature international rail-sea intermodal transport network, and won the title of "China multimodal transport competitiveness service brand" and "China multimodal transport innovation and practice enterprise". China-Singapore (Chongqing) Demonstration Initiative on Strategic Connectivity (CCI) is an important move in the implementation of the national strategies of the one Belt and one Road, the Western Region Development and the Yangtze River Economic Belt. Placing its core operation center in Chongqing, CCI brings the municipality tremendous opportunity for development. CCI consists of four departments namely Financial Services Project, Aviation Industry Project, Transport & Logistics Project and Information and Communications Technology. In order to thoroughly and effectively implement CCI, the CPC Chongqing Municipal Committee and Chongqing Municipal People’s Government established China-Singapore (Chongqing) Demonstration Initiative on Strategic Connectivity Administrative Bureau(CCIB). CCIB’s main task is coordinating and promoting the planning and development of CCI. CFTA is a core component of Liangjiang New Area (CLNA hereinafter), which is the third national level development new zone in China. On November 12, 2008, CFTA was established by approval of the State Council, and its Administrative Committee and Company started operation on December 18 the same year. The Special Customs Supervision Zone of CFTA has a planned area of 8.37 km2, and is divided into water port and airport function areas. The water port area covers 2.43 km2, and airport area 5.94 km2, the two linked by a 17km-long dedicated expressway. Chongqing Western Logistics Park was founded in 2007, with a planned area of about 35.5 square kilometers. It is an important part of the Chongqing Free Trade Zone. It is the departure station of Chongqing-Xinjiang-Europe international railway and China-Singapore Connectivity Southbound Channel, Chongqing Railway Port is located here. It is estimated that the total investment will hit CNY 111.7 million. With the completion of the construction, a modern commercial and trade logistics new city with a population of about 300,000 will be presented, with an annual output value of CNY 300 billion, a GDP of CNY 80 billion, a tax revenue of CNY 10 billion. YUGUIXIN (Chongqing) Multimodal Transportation Co., Ltd. is a joint venture company and set up by four large state-owned enterprises: Beibu Gulf Port Group, Chongqing Railway Port Logistics Development Co., Ltd., MinSheng Shipping Co. Ltd. and Sinotrans Chongqing Co.,Ltd. It is an operation platform to run the international sea-rail combined transport express of China-Singapore Connectivity Southbound Channel. Southbound Channel two-way international sea-rail combined transport express is to connect the Chongqing railway port and the Beibu Gulf port by rail transportation, and enter and depart the Beibu Gulf port by sea transportation. It takes 48 hours for the railway section. And it is weekly two-way fixed line with convenient customs clearance, safety and stability, which is the high-quality international sea-rail combined transport express. Established in March 2006, the Guangxi Beibu Gulf Economic Zone is composed of Nanning, Beihai, Fangchen Port and Qinzhou, and extended to Yulin and Chongzuo. Based on Beibu Gulf and oriented towards ASEAN, the Zone serves southwest, south and central-south China; act as a bridge between eastern, central and western China; face Southeast Asia; make the best use of important channels, communication bridges and cooperation platforms which connect a number of regions; and promote development through opening-up and cooperation. Guangxi Beibu Gulf International Port Group Co., Ltd. is a large solely state-owned enterprise directly under the administration of Guangxi government.End of 2013, based on the listed company Beihai Port Co., Ltd, assets of Fangcheng Port and Qinzhou Port were injected into the group, and it has been renamed to ‘Beibu Gulf Port Co., Ltd’. The Group's business sectors cover five aspects: port, logistics, industry & trade, real estate and investment, among which the five sectors support each other, forming a complete industrial chain.In 2016, the Group ranked 357th of the Top 500 Chinese Enterprises. China-ASEAN Information Harbor is an important platform established in accordance with overall deployment of the China's national strategy of 'the Belt and Road' initiative to build a closer China-ASEAN Community of Destiny and Maritime Silk Road in the 21st century. It is under joint development by China and ASEAN countries by taking to deepen interconnections and interflow and to strengthen information cooperation as the basic content in developing China-ASEAN information hub with Guangxi as pivot to promote Internet-based economic and trade services, cultural exchanges and technical cooperation, and to develop Internet economy of wider scope, covering more sectors and reaching greater depth in building hand in hand for the 'Informational Silk Road'. Guangxi Beihai Industrial Zone was founded on August, 2001, Located in the "Guangxi Northern Gulf Economic Zone Development Plan" provincial development zone，Guangxi Beihai Industrial Zone has 41.05 square kilometers of the planning area. With the development over 14 years, Guangxi Beihai Industrial Zone has established "Eight Connection One Flat" system. At present, With the rapid development of electronic information industry in Beihai Industrial Zone, our electronic information industry, food, drug, machinery manufacturing, new energy, new materials supplemented have greatly improved and developed which has primarily become including create industrial, urban, ecological three functions development pattern. Following the great development of the 21st Century Marine Silk Road and the opening-up and development of Beibu Gulf Economic Zone, Guangxi Qinzhou Free Trade Port Area is steadily growing into the portal port that links to “the Belt and Road Initiative”, the regional international shipping logistics hub of Beibu Gulf Rim and the core port area of China (Beibu Gulf ) Pilot Free Trade Zone. Significantly, the Port Area has been approved respectively as designated port for finished vehicle import, meat import, fruit import and grain & food import and has recently been awarded as a famous brand demonstration area for national imported wine comprehensive services industry. Dongguan city located in the central south of Guangdong and the east of Pearl River Delta,right in the middle of the Gold Economic Corridor of Guangzhou-Shenzhen,with area of 2460 square kilometers and resident population of 8.6 millon.Dongguan is a global manufacture base of transnational corporations and an emerging industrial and commercial city in China.Currently,Dongguan has aroud 10,000 industrial enterprises,which have formed an industrial system and a complete industrial chain characterized by electronics,machinery,textile,garment,hardware,furniture,paper-making and toy,taking an important position in the industrial division of the world.By the end of 2017,over 12000 enterprises had been established by foreign investors from more than 50 countries and regions in the world,of which 89 enterprises were set up by 49 multi-national corporations listed among the Fortune Global 500. Cargo Express Int'l (Dongguan) Co Ltd is the sunnybrook logistics specializes in Hong Kong airport logistics company of the business, Asian air center co., LTD. (AAT) is committed to establish efficient and fast Hong Kong airport to the dongguan, air cargo import and export channels, form the Hong Kong airport runway extends to dongguan city field rapid logistics effect, promote the Hong Kong airport become dongguan "no airport runway", for the dongguan city logistics into southeast Asia and south China international goods points to strive for a center pull. From December 2017, the company promises to open more than one shuttle bus service to the Hong Kong airport from December 2017. Dong Guan Kinder Supply China CO.,Ltd was founded in December 2014. Our company is located in Humengang Dongguan Bonded Logistics Center Park and Dongguan Bonded Logistics Center of China. The company's business covers the Yangtze River Delta region, Hong Kong, Taiwan, Daya Bay Special Economic Zone, Jiangsu, Zhejiang, Jiangxi, Guangxi and other regions, we has built a complete and mature supply chain program and Transportation route. We committed to developing the supply chain optimization service plan, improving the traditional manufacturing industry's single logistics model, and developing the integrated warehousing and logistics logistics warehousing business; The company has a mature bonded warehouse and professional business management team. Dongguan Bonded Logistics Association is an organization founded on December 19th ,2016 through the approval of and registered at Dongguan Civil Affairs Bureaubased on document “Dong Min afer no.742. Dongguan Bonded Logistics Association is a local associate non-profit organization voluntarily formed by Bonded Logistics industries in Dongguan . It has 67 member companies covering Bonded warehouses,export export supervised warehouses,typr Bonded logistics,and logistics working on bonded business in special customs supervision areas. The association is under guidance of the relevant governing unit,Dongguan Bureau of Commerce and supervision and management of registration administration organs of the government,Dongguan Civil Affairs Bureau. Association’s slogan is: “Innovation brings progress,Communication brings accord”. Association’s objective is to build an enterprise association with local characteristics. Dongguan Dade Shunchang Logistics Co., Ltd. is located in the hinterland of the Pearl River Delta, Dongguan Humen Port Bonded Logistics Center (type B), is one of the first batch of enterprises stationed in Dongguan Bonded Logistics Center. Is a bonded logistics center to provide an international logistics supply chain procurement platform, bonded warehousing, professional customs declaration and inspection, international and domestic transport and distribution in an integrated enterprise. Our company in line with the ""Dade Shunchang, integrity-based, professional-based, innovative soul"" business philosophy for global enterprises to provide procurement agents, bonded warehousing, simple processing, sorting goods, labeling, distribution, upstream and downstream enterprise terminal data synchronization and sharing a series of value-added services. As a professional supply chain services provider from China, Dongguan Lingnan Import & Export Co.,Ltd is dedicated in international procurement, sales and under bond logistics solutions. Lingnan provides non-core business outsourcing services world wide, to serve customers with logistics, business flow, capital flow and information flow of integrated one-round supply chain management services. We constructed global procurement and domestic distribution platform, Dongguan Lingnan Logistics Center. Lingnan's service net has covered all over China. With our philosophy being "Serve to Create Value", Lingnan is one of the "Best Supply Chain Service Provider" in China. Dongguan Many International Logistics Co Ltd upholds the business philosophy of integrity, high-quality, keeping forging ahead and aiming at customer services, to provide clients with convenient, fast, high-quality bonded logistics, warehousing, transportation, VMI, simple processing in warehouse and other supply chain services, Which help clients further develop their business. Dongguan Port International Logistics Co., Ltd is responsible for operating and managing the Bonded Logistics Center of Dongguan City. Based on operations like export rebate, bonded import, bonded warehousing and international purchase and distribution, Dongguan Port International Logistics has leveraged the platform effect of the Bonded Logistics Center to further expand and integrate such functions as “VMI”, “batch delivery and centralized declaration” and so on. On this basis, major types of business have been formed, including bonded one-day tour, import allocation, export consolidation and cross-border electronic commerce. Dongguan Prosperity Warehouse Co Ltd is approved by the general administration of customs 2005 warehousing, distribution, customs declaration, inspection declaration, which integrates professional bonded logistics enterprise, the specialty is engaged in and the bonded goods of import and export goods under customs control foreign temporary storage of goods, warehousing and related supporting services. Company is located in the border town of hengkeng village, the distance guan highway in dongguan gateway is only 1 km, adjacent to dongguan customs step Lao city, convenient transportation. The company existing warehouse area of 23000 square meters, including public bonded warehouse, export supervised warehouse, dongguan baiyun airport cargo terminal, ordinary warehouse. Dongguan Qingxi Logistics Park Co., Ltd is established by Evergrande Agri-Husbandry Group, Timax Logistics Group, and Xiang Sheng Industrial. It is the third party operation management company of Dongguan Qingxi Bonded Logistics Centre (Type B). Dongguan Qingxi Logistics Park Co., Ltd is an integrated logistics enterprise that mainly focus in warehousing, transportation, international freight forwarding. Combined with more than 30 years of experience in bonded logistics management and strong strength of Evergrande Agri-Husbandry Group, determining to build a logistics platform that can serve enterprises in Dongguan and radiate across Shenzhen, Huizhou and other neighbouring cities around Qingxi. It's a company that runs bonded logistics. Planned construction area of 532,000 square meters.It is one of the first 17 bonded logistics centers in the country. It is also the first enterprise to enter Dongguan bonded logistics center (type B) for investment and construction. Dongguan Roadsimple Supply Chain Management Ltd is a professional service provider in the design and implementation of supply chain solutions. It provides one-stop supply chain solutions based on public bonded warehouse, such as bonded warehouse, import and export logistics, freight forwarding, etc. to help customers improve customs clearance efficiency and operational efficiency, and ensure the accuracy of distribution. Timeliness and safety. Dongguan Xin Ning Warehouse Co Ltd was established in 2004, which is a public bonded warehouse approved by China customs to handle import & export cargo. It locates in Chang An town, Dongguan city, the center of Pearl River Delta of Guangdong province, enjoys convenient transportation facilities that link with Shenzhen, Guangzhou, Hong Kong, Macao and spread to inland China. We are the third party distribution center (DC) and expert in VMI (vendor managed inventory) operations for electronic manufacturers & suppliers and more than 10 years of operational experiences in this industry. We have our own professional team for warehouse operations, customs declaration, transportation and trading that make our logistics operation smoothly & efficiently. We are the award of AA type enterprise (local high credit enterprise). Draco began its operation at the Dongguan bonded logistics center in May 2010. Its 4500 square-meter warehouse in the center is well equipped. The company provides first-rate service in bonded logistics warehousing, international logistics, in-port and other value-added operations. It also conducts other business including transportation, customs clearance, storage, loading and unloading, handling, simple distribution processing, distribution and information handling. Situated on the south of middle reaches of Yangtze River, E’zhou, the core circle-layer city of Wuhan city circle, the key node of the pattern “Two vertical and three horizontal” Chinese Economic Geography, the intersection of Yangtze River Economic Belt and the Belt and Road Initiatives, was approved as the provincial city in 1983. E’zhou was also the first pilot site for reform and opening-up policy in Hubei Province and national second-class open port. E’zhou, with jurisdiction over 86KM riverbank of Yangtze River and 120 deep water berth available for 5,000 tonnage, enjoys a splendid multimodal transportation system, which attracts well-known enterprises settled down, China Merchants Group, SF Express for example.Hubei International Air Freight Hub, jointly build by Hubei Provincial Government and SF Express, is a national productivity distribution project in 13th Five-Year Plan, which aiming at building the world’s fourth, Aisa’s first, world-class freight hub. In February 2018, the State Council and the Central Military Commission officially approved the construction of ezhou civil airport, which will be completed and operated in 2021. SF was established in Shunde, Guangdong Province, in 1993. Since its establishment, SF has committed in improving its service quality and infrastructure, vigorously developing and introducing IT technologies and equipment, and continuously achieving automatic operations. SF has launched one-stop supply chain solutions for different sectors including e-commerce, food, health care, auto parts and electronic products.As of November, 2016, SF has extended its services to all over Mainland China with more than 13,000 service points and approximately 15,000 operating vehicles. With an airline subsidiary of 36 all-cargo aircrafts, air transportation network spanning Mainland China. Meanwhile, SF has been aggressively expanding its worldwide express services. Till now, S.F. E-P50ge arcel service network covers over 200 countries and regions worldwide, and international express services cover over 50 countries and regions. Guangzhou Port is an important hub for national integrated transport system, one of the major coastal ports and container ports in China. It is the main transshipment port for energy and supplies, important raw materials and trade goods in Guangdong. It is also a strong pillar for South China and Southwest China to join the international market and participate in the competition and cooperation of the international economy. Currently, Guangzhou Port has opened over 200 linear routes, and established seaborne trade relationship with over 400 ports in more than 100 countries and regions. As a public entity, Guangzhou Port Authority is responsible for the administrative management of ports, shipping and the navigation channel of Guangzhou. It comprises six sub-branches and five subordinate entities, including Guangzhou pilot station and Guangzhou Port Communication and Dispatching Center. Busan Port Authority(BPA), the first port authority in the Republic of Korea, was founded in 2004 for Busan Port. To contribute to the national economy, we will make Busan Port a competitive hub of shipping logistics in Northeast Asia by enhancing efficiency of port operations and securing greater competitiveness. Pohang Regional Office of Oceans and Fisheries manages the Pohang port. Pohang port, located in the southeastern corner of the Korean peninsula, boasts excellent natural and locational conditions which allow it to function as a gateway into the Daegu-si and Gyeongsangbuk-do region. Pohang port is divided into the Shinhang (new port) that supports the steel industry POSCO, and Guhang (old port) that handles sand and oil products. Yeosu Gwangyang Port is a global port leading the industrial progress of Korea which devotes promoting the marine logistics to national economy development. Also, it is customers' value creating port through the Container terminals, Petrochemical related pier, Steel manufacture related pier and Yulchon industrial complex reated Pier. The legal basic services of PUDONG PRIME INT’L LOGISTICS, INC. in China mainland is provided by Shanghai Headquarter，Branch Companies in Ningbo, Nanjing, Xiamen、Shenzhen. and subsidiaries in Los Angeles, Tianjin, Qingdao, Dalian, Guangzhou, Lianyungang and Fuzhou, All international forwarding companies approved by both Ministry of Commerce of China, Shanghai Municipal Economics and Trade Commission. With registered fund of 40 million CNY, they are all very powerful A-class forwarding agents. With qualified license for sea transportation, agency of air freight, Customs declaration and commodity inspection. Services scopes: Ocean transportation (Imports and Exports), Agency of air freight (Imports and Exports), Customs declaration and Commodity inspection, Agent of sea & air combined freight, Logistics distribution and Agency of insurance. Qingdao international shipping service center (QISSC) was established at the end of 2014, authorized by Qingdao government. It is a specialized “Trinity” institution including service, trade and research in order to support port and navigation development. The targets of Qingdao in the “One Belt and One Road” strategy are becoming the main node city of the new Asia-Europe continental bridge economic corridor as well as the co-operations in marine strategy, under the circumstance, QISSC focus on improving the functions of “information, trade and service”, then fully processing “shipping resources integration, marine dynamic information exchange, shipping trade behavior standardized and stimulating the shipping market's vitality“ .QISSC is expected to serve more than 4000 shipping companies referring to shipping, ports, shipping agency and cargo agency in the next 5 to 10 years, promoting total shipping revenue to double, accelerating the improvement in terms of shipping finance, insurance, legislation and consultation, increasing the marine economic contribution degree from 5% to 10%; finally becoming the significant platform for collecting industrial elements resources; the powerful engine for stimulating regional economic development and the motivation for improving the core competence of the city. Qingdao Port International Freight & Logistics Co., Ltd. is an international integrated logistics service provider and platform operator, our business scope covers freight forwarding, port warehousing, container yard, inland port and sea-railway transportation, trade finance and other major areas. The company owns 10 business centers, over 20 joint venture companies, and provides the integrated logistics services for more than 60 specific businesses. “integrity, innovation, service and win-win” is our service concept, relying on the port advantage we implement the development mode of “Internet + logistics” to promote the integration development of “business flow, logistics, cash flow, and information flow”. We are committed to become the leader of the modern logistics supply chain organizations. Qingdao Shipping Development Research Institute is a shipping research professional institute jointly established by Qingdao International Shipping Service Center and established with domestic well-known scientific research institutions and universities. It is mainly responsible for shipping information collection and analysis, shipping market report, shipping index and strategic development research. By establishing a multi-participating shipping think tank, it will become a smart platform for shipping development and guide the development of shipping and shipping in Qingdao and surrounding areas. Founded in 2012, Shandong Jiaoyun Hyundai Logistic Co., Ltd was invested by Shandong Province Communication and Transportation Group and Hyundai Merchant Marine of Korea. Registered capital was 100 million Yuan, total investment was 300 million Yuan. SJHL’ core business is container management which offers multidimensional container yard services such as Full container/Empty container storage, Container maintence and repair, Gate inspection, Reefer PTI. SJHL also have some additional logistics services which were Warehouse, International freight forwarding, Over-size cargo transportation, Container feight station, Inland transportation. Now providing services both in Qingdao and Shanghai,SJHL sincerely expect to become your reliable logistics service provider. Shanghai Pudong International Freight Co., Ltd. Qingdao Branch is a professional company engaged in the United States Line international freight forwarding agent, engaged in major international shipping business, is a diversified, modern, international shipping agent company. Set shipping, air, land transportation, warehousing business in one, the country has the delivery NVOCC (Non-Shipping Carrier) qualifications approved by the Ministry of Communications, with branches in Qingdao, Tianjin, Shanghai, Ningbo, Dalian, Shenzhen and Xiamen, can provide customers with charter, booking, trailer, customs declaration, inspection, warehousing, bills of lading issuance and other logistics services, for the United States Pudong International Shipping Co., Ltd. to provide contracts in China Basic legal services. Long one of the world’s leading ports, Quanzhou has built upon its strategic location to transform itself into a vital modern city of commerce and culture. Quanzhou is one of the three central cities of Fujian Province. Quanzhou is also one of the first 24 famous historical and cultural cities announced by the State Council, one of the 18 typical areas for reform and opening up, the starting point and pioneer area of the ""Maritime Silk Road”, and the first ""Capital of East Asian Culture"". Appointed as the trial city for “Made in China 2025"" program and the leading GDP city in Fujian for 18 successive years, Quanzhou is one of the fastest-growing and most vigorous city in Fujian, and even throughout China. Antong Holdings Co.,Ltd. (SH.600179) roots of intermodal logistics industry in China and distributes itself over global circulation filed, now it has developed into a modern comprehensive logistics service provider with multilevel characteristics , extensive coverage and unique features, its services cover fields of integrated logistics, supply-chain finance, investment management, shipping service and logistics park. Quanzhou Hengsheng Shipping Co., Ltd. was established in 2013. It is a private enterprise. The company operates independently and manages a total of 6 container ships (in operation). There is a 6300 ton and a 14,000 ton container ship under construction. It is expected to be put into operation in 2019. The company mainly operates domestic coastal and mid-lower reaches of the Yangtze River and the Pearl River system general cargo ship transportation business, ship maintenance maintenance, and domestic ship management and leasing business, sales of ships and accessories, domestic cargo transportation agents. The company is based on steady progress, not blind development, in the government's support and steady development of the market environment. Established in August 1982, Quanzhou Ocean Shipping Agency (QOSA) is the first and largest ocean shipping agency in Quanzhou, specializing in shipping agency, cargo forwarding, multi-modal transportation, customs and CIQ brokerage, chartering, warehousing, trucking, distribution, and other port services. In 1997, QOSA was accredited with the BSI certification of ISO 9000. QOSA is committed to the maximization of customers’ interests, realization of owner’s equity, development of employees, and contribution to community. QOSA’s service network is extending across the country, paving the way for a nationwide reputable logistics and supply chain enterprise. Quanzhou Pacific Container Terminal Co.Ltd. In August 28th, 2006, China COSCO Shipping Ports (Viz. COSCO Pacific (H.K.) under the China COSCO Shipping) and Quanzhou Harbour Group had established a joint venture which was named Quanzhou Pacific Container Terminal Co., Ltd. (Short for QPCT), total capital reached 1,800 million RMB, China COSCO Shipping Ports holding 82.35% of the shares and Quanzhou Harbour Group holding 17.65% of the shares. Shihu Port which operated by our company，is the first-level national port with maximum water depth of -15.1 meters, possesses five berths whose hydro structures are 3,000 tons, 10,000 tons, 30,000 tons, 50,000 tons and 50,000 tons respectively. Yingkou is located in the central area of Liaodong Peninsula, East bank of Bohai Bay, the estuary area of River Liao. The city was the first ever trading port opened to the world in Northeast China Region, here was the hub of economy, finance, trade, shipping and cargoes of the entire Northeast China. Yingkou was known as "Trade Hub of the East" and "Mini Shanghai of Northeast China". Today, Yingkou City,as one of the open coast cities of China, is known as the vital access to the oceans of the Northeast China Region, a vital hub of "One Belt One Road" Initiative, the most competitive harbor city in Bohai Economic Circle and Northeast Asia, financial, economic and modern service industry centre of Liaodong Bay, the city is one of China's fastest growing cities. Yingkou Area of China (Liaoning) Pilot Free Trade Zone is located in the west of Yingkou's main urban area, close to the mouth of the Liaohe River, and has a total planned area of 29.96 square kilometers. It was formally established in April 2017. The strategic positioning is to focus on the core strategic resources of the port and the continental bridge that covers Europe, build regional international logistics centers, high-end equipment manufacturing, and high-tech industrial bases, and build an important hub for International maritime and rail transport routes. The key industries for development are: a new generation of strategic emerging industries such as information technology, smart manufacturing, and high-end equipment manufacturing; Trade logistics, cross-border e-commerce, science and technology services, financial services, bonded storage, processing trade, re-export trade and other productive services; Health care, cultural performing arts, education and training and other modern life services. Yingkou Port is the nearest sea port of the eastern route of the Silk Road Economic Belt in China, and is also the important hub of Circum-Bohai Sea Economic Zone. In 2017, the throughput of Yingkou Port achieved 362 million tons and 6.277million TEU, which ranked the 8th in China and the 12th in the world. Yingkou Port possesses 9 kinds of special wharfs, which including container, automobile, coal, grains, ore, steel, big equipment, processed oil, fluid chemicals and crude oil. As a department of Zhuhai Municipal People's Government,Zhuhai Bureau of Commerce has the responsibilities as follows: : Implement laws, regulations and policies of Zhuhai, Guangdong Province and the state concerning investment promotion, domestic and foreign trade, economic cooperation, market construction and commercial services; Draft, organise and implement relevant local regulations, rules and policies, and formulate industrial development planning; Formulate, coordinate and guide the development of relevant industrial standards; Manage services, supervise industry, administrative law enforcement, and foreign communications and cooperation; Undertake other matters assigned by the Zhuhai Municipal People’s Government and other superior departments. BWT plans to establish an air logistics service platform in Zhuhai,which will be the logistics service center as Hong Kong Airport. Our partner in Zhuhai Hongwan Trade and Logistics Center Park has 13500㎡ logistics land which will be built into the western aviation logistics center of Guangdong-Hong Kong-Macao Greater Bay Area. The center will implement the “two warehouses in one” customs supervision mode, mainly for the cross-border warehouse business of Guangdong, Hong Kong and Macao,cross-border e-commerce , import bonded VMI and other businesses, and will also cooperate with Hong Kong and Macao air cargo terminals to move some of Hong Kong &Macao's processes back to the center to solve the problem of high warehouse and labor costs in Hong Kong and Macao. After the operation of the center, the logistics efficiency of the western part of the Greater Bay Area and Guangdong will be greatly improved，the path will be shorter,the cost will be lower . At that time, high-tech/high value-added electronic products and fresh goods in the nearby area will be highly time-sensitive will be atrtacted.The economic and social benefits brought by the project will be considerable.. Drained. The project, which is ahout 2km away from the exit of the extension line of the Hong Kong-Zhuhai-Macau Bridge, is located on the south side of Baowan road and the west side of Baoli road in Zhuhai Free Trade Zone. The north of the location is closed to G94 highway connected to G4W highway by which can access to Zhongshan and Guangzhou instantly. Also, G94 highway is connected to S32 highway by which can access to western Guangdong instantly. The south of the location gets closed to Henqing Bridge and Maliuzhou Submarine Tunnel. The Hongwan Logistics Centre equipped with the comprehensive clearance centre is on the west the loccation. To support commerce completely, office premises, hotels, aparments and a shopping centre are right next to the location. The floor area of the project is 57869.71m2 with the planned construction area of 200,000m2 aproximately and the effecive storage area of the building is nearly 130,000m2. The storage buiding is designed to 6 storeys with the storey height of 8m, and it is equipped with the two-way carprot working area on the ground floor and a two-way single-winding-path to each floor.In addtion, an office building and the undergournd parking with the parking quantity of 1146 are provided. Guangzhu Railway Logistics Development company Ltd.
Guangzhu Railway Logistics Development company Ltd. is the holding subsidiary of Zhuhai Communication Group. The registered capital is 270 million yuan. The main business are the Zhuhai West Station freight yard operation, building materials supply chain services and logistics center investment and construction. We already officially landed New OTC Market in April 21, 2017, the stock code is 871630. Zhuhai west station logistics center covers an area of 3100 acres, is the only railway freight yard which has heavy cargo, general cargo, container cargo and loading and unloading operation. It near the Gaolan Port ant the surrounding road network coarctation.It connects the national railway network through the Guangzhou railway center. Quantong Logistics Center is located in Gaolan Port Economic Zone. The airport highway and Gaolan Port exit of Hongkong-Zhuhai-Macao Bridge Extension Line (Hegang Expressway) are 5 kilometers away. Faced with Zhuhai Avenue, the transportation is convenient. The project covers an area of about 31,000 square meters. The construction area of a single-storey concrete structure is about 8,000 square meters, and the available open space is about 23,000 square meters. Zhuhai Aviation City Logistics Co., Ltd. is a mixed ownership enterprise controlled by Zhuhai Aviation City and Airport Group Co., Ltd. (state-owned), and undertakes the investment, development and operation of Airport Smart Logistics Park of Zhuhai Jinwan Airport. The Airport Smart Logistics Park is located in the core area of Zhuhai Airport, with an area of 71,700 square meters, a designed annual handling capacity of 200,000 tons, a total investment of approx. 380 million yuan and a total construction area of approx. 39,000 square meters. Combined with the innovative development mode of “Free Trade Zone + Airport Logistics”, the project focuses on the airport transportation to develop multimodal transport business. Zhuhai Baian pharmaceutical logistics co., LTD was established in Sep 2015, is a strict drug GSP standard and related technical standard 3PL enterprise, provide professional drug storage and cold chain transportation services. Now our warehouse is more than 10000 square meters , equipped with normal temperature library (30 ℃), cool library (20 ℃) and refrigerator (2-8 ℃). We are planning to build pharmaceutical logistics industrial park in 2018, covers an area of 100 mu, located in biological medicine industry park in Zhuhai Jinwan district. As one of the iconic companies of the city’s modern logistics industry and the initiator of the VMI (Vendor Managed Inventory) service in Zhuhai, Gangda SCM has more than 15-year experience in the field. The company was Zhuhai’s first firm that operates both the Public Bonded Warehouse and Export Supervised Warehouse. The main business of our company HKDA is to provide lean warehousing services and JIT distribution under third-party VMI mode, product logistics, customs and CIQ service, Import and export agents, international freight forwarders, financial logistics and other supply chain management services for enterprises in Zhuhai and adjacent areas.